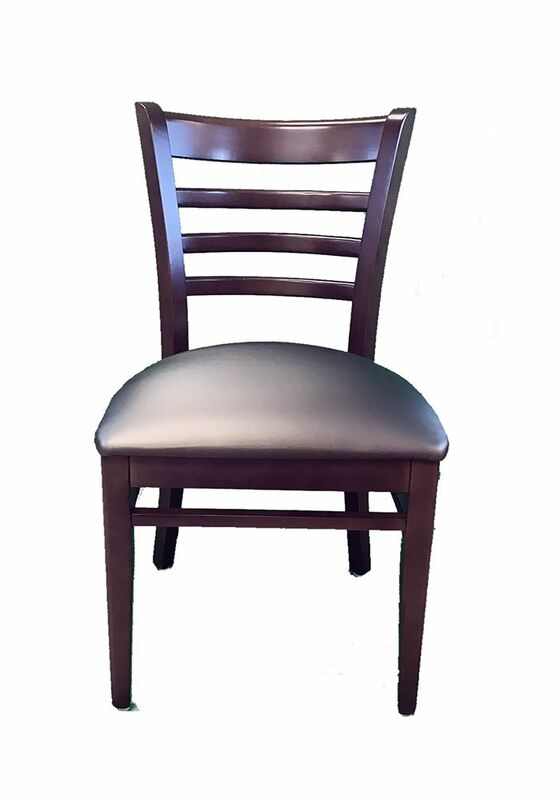 Seat your patrons comfortably at any bar or cafe with the Ladderback padded chair. Its back rest features a ladder design that provides unmatched comfort while maintaining a distinct look for your restaurant. A 2" thick padded dark brown vinyl upholstered seat brings exceptional comfort, and cleaning it is as simple as using warm, soapy water or a vinyl cleaner. Its steel legs are all connected with supports to ensure superb stability, while white nylon glides are capped on the bottom of the legs to protect your floors for years to come at your pizzeria, bar, deli, or restaurant.